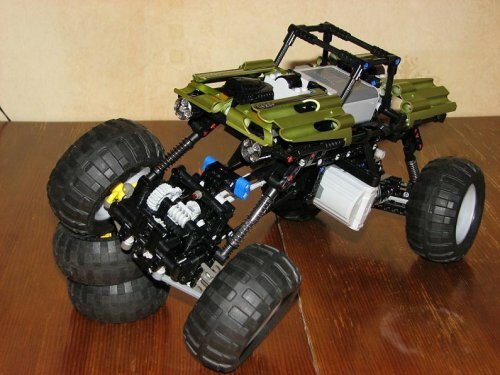 I represent the first more or less successful model of crawler! The suspension course has turned out simply unreal! It was possible to expose bridges under 90 degrees to each other. 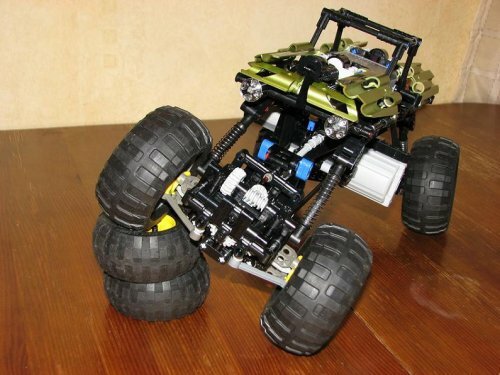 But has emerged in full lacks of a three-dot suspension - uncontrollable rear bridge steering at overcoming of obstacles. To operate to it would be possible only having made the steering mechanism on the rear bridge, but it wasn’t included into my plans. 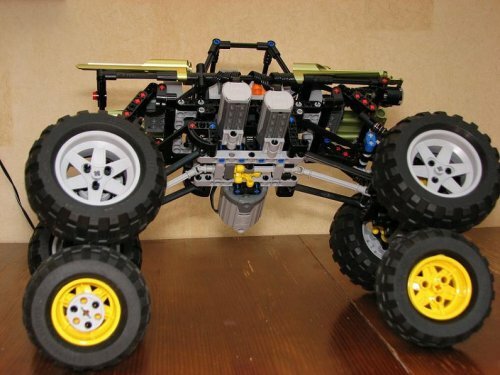 But for such wheel base the center of gravity was too high. I has decided to put larger diameter wheels and to extend suspension levers. Besides it I has moved a worm gear of the steering mechanism on the front bridge, is has allowed to get rid of a car heel at turn of wheels. The XL-motor hasn’t so successfully arranged, clings sometimes (on video it is visible), probably subsequently I will reconstruct the motor block. The second M-motor is a crab. Not that it was strongly necessary, but it was necessary to make a counterbalance to XL-motor. 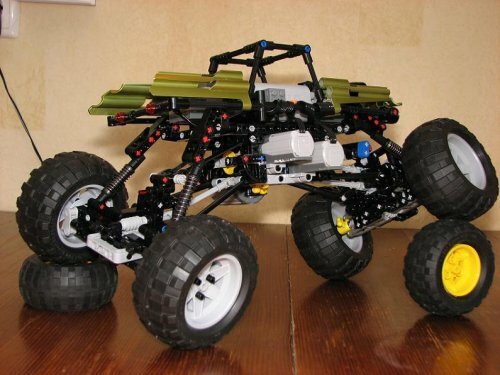 Good suspnsion, but the motor placement and stability seem rather poor to me. Try improving the motor layout! Yes, I think so too. 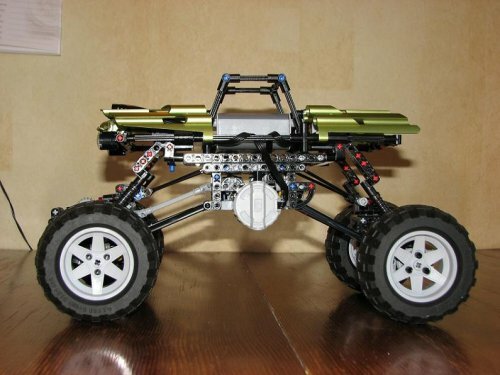 The improving of front axle and motor layout - is my nearest plans!